“Senator Toomey will go down on the wrong side of history for his vote against immigration reform. Today Senator Toomey cast a vote against all working Pennsylvanians,” said Gabe Morgan, PA director of 32BJ SEIU. Even with an amendment that will mean unprecedented build-up at the border, Senator Toomey remained unwilling to support the reform package, revealing that he was never serious about immigration reform, and instead just wanted to stand in the way of millions of aspiring Americans getting on a path to citizenship. Maria Antonio of Pittsburgh is one of the 11 million undocumented immigrants whose lives hang in the balance. Antonio’s family could be broken apart if Congress does not take action soon. Among the 11 million immigrants waiting for Congress to move on immigration reform are an estimated 2.1 million “Dreamers” like María Sotomayor of Philadelphia. “My parents have been living in this country for almost 18 years paying taxes, helping out communities and contributing to the economy. My sisters and I have been in the US for 12 years, more than half of my life, during these years we have faced the unfairness of the broken immigration system without being able to do anything to fix our status, not because we don’t want to, but because it is impossible,” said Sotomayor. Pennsylvania United for Immigration Reform and other leading immigrant advocates have been fighting for a path to citizenship for 11 million aspiring Americans. “While the final Senate bill is far from ideal and we will continue to push back vigorously against the excessive spending on militarization of our border, this bi-partisan legislation will positively impact many immigrant families. We are very disappointed to see that Senator Toomey did not vote in support of this significant legislation,” said Natasha Kelemen, Executive Director of the Pennsylvania Immigration and Citizenship Coalition, the coordinating agency for Pennsylvania United for Immigration Reform. Even the recent Congressional Budget Office analysis gave a strong reason to support the bill, estimating that it would decrease the federal deficit by $175 billion over the next 10-year period. Elected officials across the state today weighed in on the benefits of immigration reform to local economies. “As the grandson of Italian immigrants I know how important immigration has been to the history of Pittsburgh and the United States,” said Pittsburgh City Councilman and likely the next Mayor of Pittsburgh, Bill Peduto. “People like my grandparents built this country and in the process were able to climb the ladder to the middle class and provide for their families. Today’s immigrants are no different. They are our neighbors, our friends, our coworkers and they want what every American wants – a better life for themselves and their families,” added Peduto. Now the immigration debate moves to the House of Representatives, where Republicans under Speaker Boehner’s leadership must realize that the American people are on the side of reform and want to see Congress solve this problem. “Our fight for a more just and humane immigration bill will continue as the debate moves to the House of Representatives,” added Kelemen. 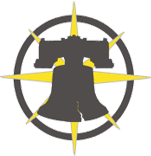 Pennsylvania Immigration and Citizenship Coalition (PICC) is a diverse coalition of over 50 member organizations and hundreds of individual members. Our mission is to represent the needs of immigrants, migrants, refugees and other New Americans living in Pennsylvania to policy makers, public officials and the general public.